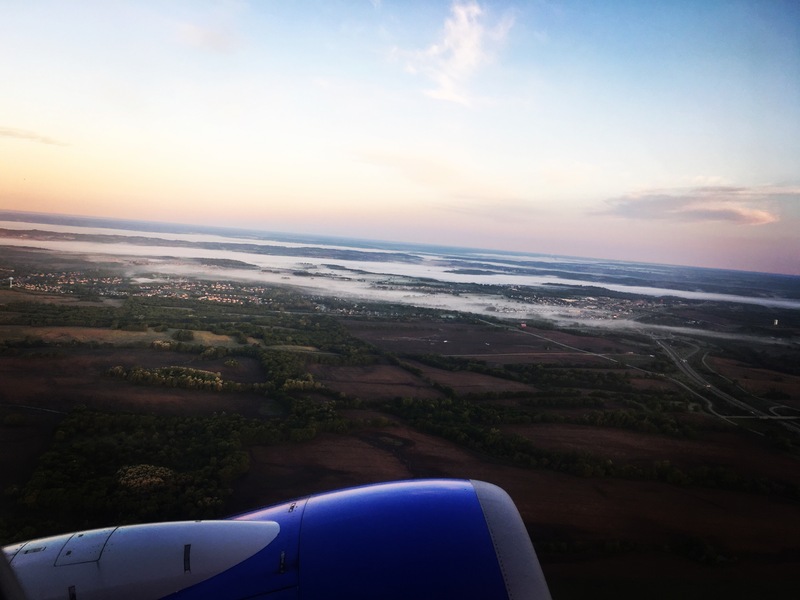 I up bright and early Tuesday morning, getting on my 6:30AM flight from Kansas City to Las Vegas. 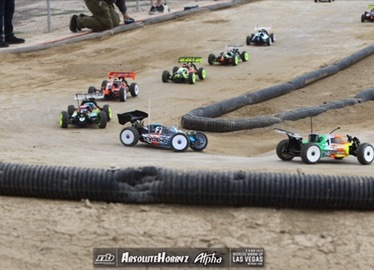 The last time we were all out at RC Tracks of Las Vegas, the track surface was super high bite and super smooth, but that would not be the case this time. 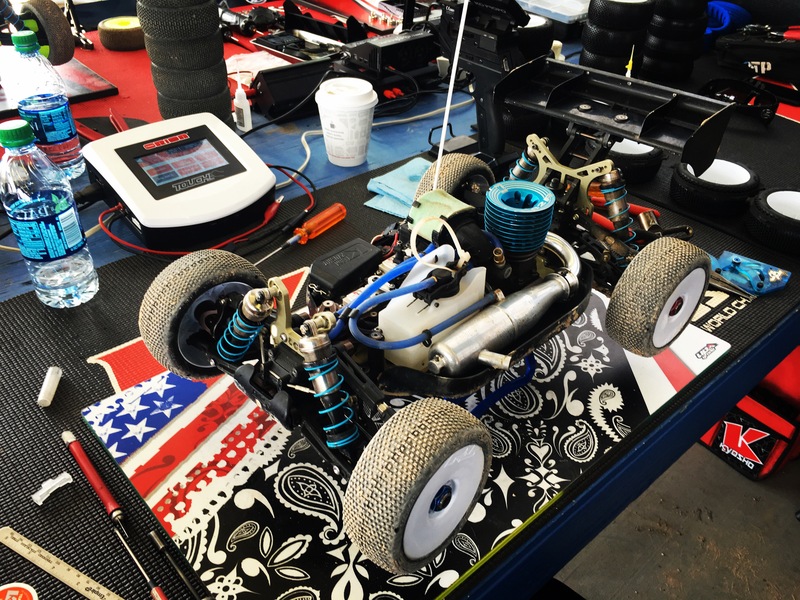 Chris, the track owner, decided to run the IFMAR Worlds how he wanted, and the track would be watered, and allowed to get rough. Practice would be Tuesday, Wednesday, controlled practice Thursday, qualifying Friday, mains on Saturday, and then most drivers staying to test on Sunday, I would fly home Sunday night. Straight from the airport to the track Tuesday morning and I was hitting the track just after 12 noon. The track design was new, so the track took a while to break in. The track layout was pretty fast and pretty smooth still. Most drivers only driving 1/8 Nitro Buggy, so the track was going to take a while to get rough. Tuesday practice was pretty good, I mainly used this day to just learn the track. Wednesday was day two of open practice, and more people showed up and the track was starting to take more shape. The weather was hot, so keeping the track wet was a struggle, even with them watering every 20 minutes. My car was feeling pretty good, so I wasn’t really making any changes, just working on my driving. Thursday we would have 4 controlled practice rounds, each being 10 minutes long. The first two would be not timed and then the last two sessions would be timed for the final 7 minutes and used for seeding. 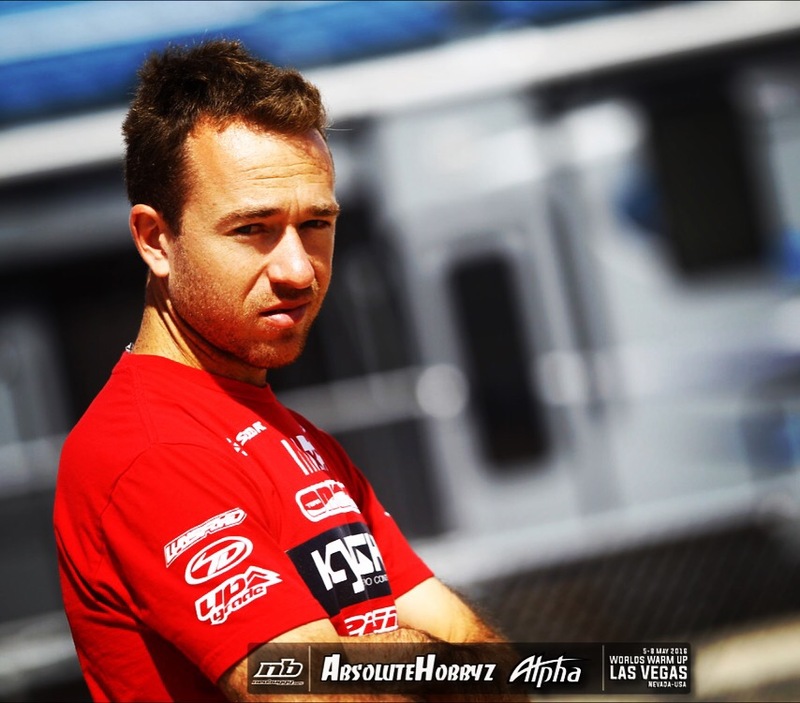 I was really fast and comfortable for the first two, but then I wanted to do some testing in the two seeding runs and that would prove to be not the best move. I’m not really sure why I do this now….I get nervous and anxious when the stakes get a little higher, then I doubt my driving ability and focus too much on trying to get more performance out of my car. THAT DOESN’T WORK FOR ME!!! How hard is it for me to understand this. I was not comfortable driving my car and crashed a bunch in both seeding runs, seeding 21st fastest. For Friday, I looked back at my notes and made a setup choice to keep for all qualifying. I wanted to run all 5 qualifiers with the same car setup and same tire setup, JUST focus on me. I decided on Proline M3 Holeshot for my tires. Q1 I had good speed, but made some mistakes, getting 6th. I was pretty happy that I could get a 6th with multiple crashes in the 10 minute qualifier. Q2 I made no changes and drove better to get 5th. Q3 was similar, no changes, but still not a perfectly clean run, getting 4th. I was getting better each run, but the track was starting to get rougher and more sketchy, which I really enjoy. I made a diff setup change for Q4, going from 5/7/5 to 5/5/2. My car was really good and I had my best run yet, getting a 3rd. I would have been close to TQ, but I crashed on my final lap. Saturday would be the final qualifier and then the finals. I changed my wing mount location and my wheelbase for the final run, and I had a decent run. 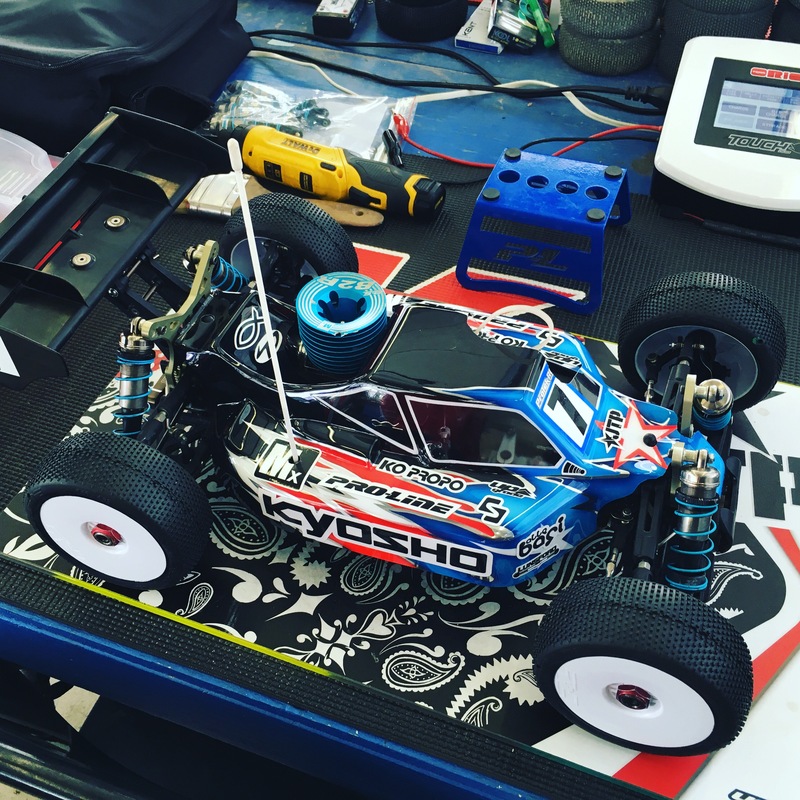 I started to do what I didn’t want to do, I was finally getting closer to the TQ speed, and then I doubt my driving ability and search for more speed in my car setup…..STUPID ME! I got 4th, but we were all pretty close, especially 2nd, 3rd, and 4th. I would Qualify 4th overall and would start 2nd in Semi B. The track was changing a lot and now the races were longer, so the track would get less water, and with that the tire wear was getting more and more. In the Semi Warm Up I tried X3 Switchblades and X3 Holeshots, and I felt much better on Holeshots. My plan for the semi was to run X3 Holeshots, but then some weather came in, and it was raining all around the track, but somehow not at the track. I made a last second decision to switch to M3 Switchblade, I felt would be a safe bet if it stayed dry or rained. The start of the semi was bad, as I crashed first lap and was battling in the back. I didn’t feel that comfortable, which was frustrating me as Ty Tessman was running M3 Switchblades all week and loved the feeling. I was more comfortable for some reason on Holeshots and the semi would be tough. I would get some bad breaks with other cars, but around halfway through the 30 minute race, I got into a good groove and started to reel in the lead pack. I needed to finish in the top 5 to guarantee a transfer to the final, as then they take the fastest two next drivers, from either Semi. As soon as I caught the battle for 5th/6th/7th it started to rain, not heavy, but enough to make the track very slick. I moved into 5th and expected to just pull away, but I couldn’t, and the battle was on. The last 10 minutes was a total battle, with me getting the bad end of some contact and dropping back in the final minutes. I was 7th on the final lap, right behind 6th, and 6th place crashed, so I finished 6th, not knowing if I made the final. 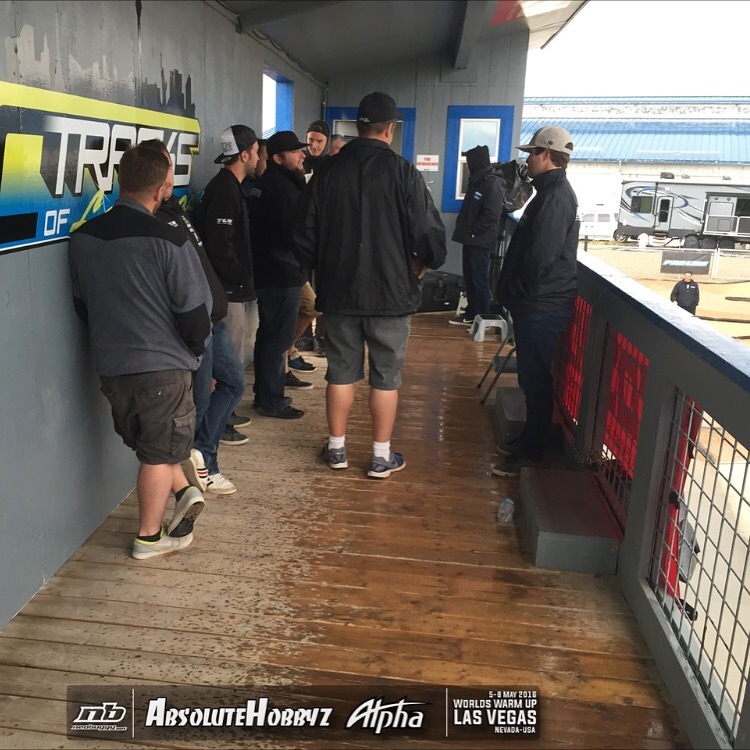 With the rain, the track slowed down, so the rules state that they will just take the top 6 from each semi, as they can’t go by race time with the rained race being slower. The starting order would not go by speed either, so I would start 12th. I was pretty bummed, but really excited to race the final and get back on Holeshots and see how I could do. The rain never stopped though, so the main got cancelled. The track was not flooded, but the dirt was extremely slick and the constant rain was not showing any signs of stopping. The rain was coming straight into the drivers face on the stand too, so the risk of wrecking cars, radios, and turn marshals wasn’t worth it. Sunday we all showed up for testing, and the track was in great shape after the rain. I did some car setup and tire testing, and I was pretty happy with my end result. I still have more work to do, but I think come October I will be ready to fight for a World Championship! 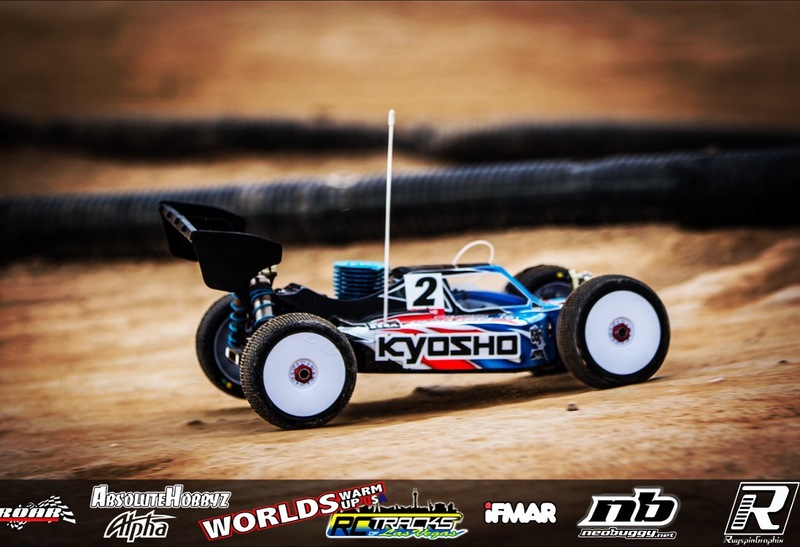 Thanks to all my fans, Kyosho, MX, Team Orion, Proline, KO Propo, Speed RC, JTP, Upgrade-RC, TD Paint, Lunsford, Liverc.com, Rock Brook Church, Joe Pillars for all the support, my Dad for coming out, my family, and the Good Lord Jesus Christ. Good write up Jared! This actually taught me a lesson since me and u seem to do the same mistake, instead of sometimes going for just concentrating on the driving factor, I sometimes try to get more speed out of the car, which then hurts me in my next run, so it looks like we both need to improve there haha. It’s ok though Jared, I know you will be ready to fight for a World title!